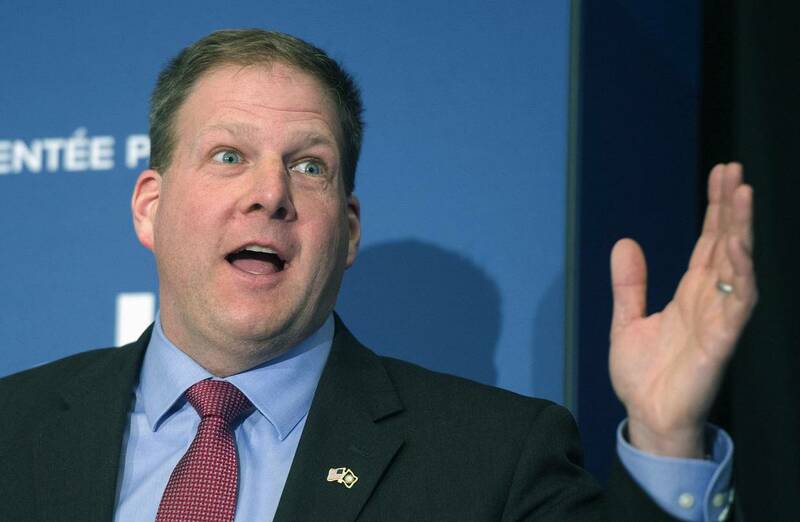 New Hampshire can put its famous state motto to work on education. 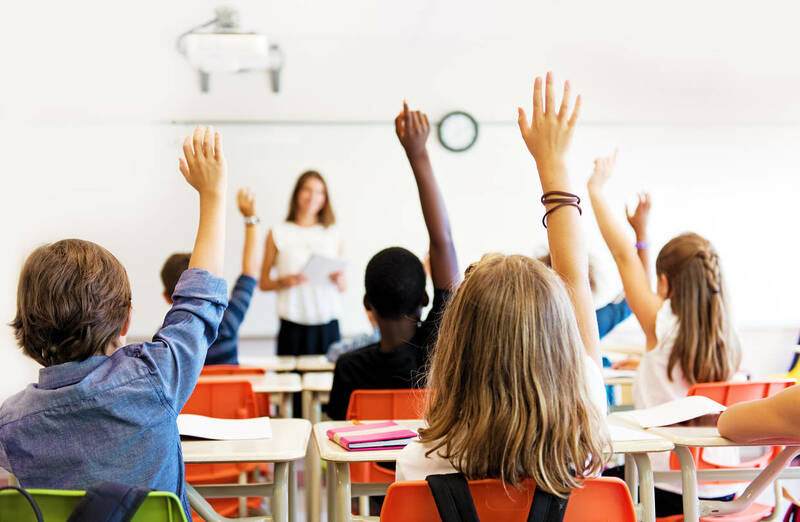 Last month, Arizona became the second state after Nevada to enact universal education savings accounts, or ESAs, which allow parents to spend a state’s per-pupil aid amount on other education options. New Hampshire may soon be the next state to establish a universal right to freedom of education—if Republicans don’t lose their nerve. In 2012, the Granite State established a modest tax-credit scholarship program, but last year only 178 students—less than 0.1% of statewide public school enrollment—received awards, which average about 15% of $14,909 per-student public school spending. The state Senate opened the school-choice doors last month by passing a universal ESA bill that would give parents who withdraw their kids from public schools 90% of their child’s per-pupil state allocation to spend on private-school tuition, curriculum, tutoring or other state-approved education expenses. The legislation is now facing resistance in the GOP-controlled House. At a hearing last week, there were questions about inferior accommodations for students with disabilities at private schools. But parents wouldn’t be forced to withdraw their kids from public schools. If they like their local public school, they can keep their child in it. Some Republicans worry about the fiscal impact on rural school districts. But these districts have to rationalize labor and overhead costs eventually due to demographic changes. State Board of Education Chairman Tom Raffio has argued that ESAs are unnecessary because New Hampshire’s public schools rank among the best in the nation. That’s partly an artifact of the state’s predominantly well-to-do population. Still, only 31% of low-income fourth graders in 2015 scored proficient on the National Assessment of Educational Progress, a seven-point decline since 2013. Parents unhappy with results like this should be able to seek alternatives. Meanwhile in Nevada, a state Supreme Court decision overturning its funding mechanism has their program and about 8,000 parents on hold. GOP Gov. Brian Sandoval ought to veto new spending bills until his Democratic legislature funds ESAs. It is hard to justify one-size-fits-all-public education in an era that increasingly allows people to exercise choice in most aspects of their lives. Republicans in New Hampshire would be fortifying the state’s motto to live free or die by embracing the freedom to learn. The state expands its program offering $5,000 to $14,000 in education savings accounts. The remote location makes it easy to overlook St. Michael’s 400 students, but the school is an oasis on the 27,500-square-mile reservation. Only 66% of Arizona’s Native American high schoolers graduate in four years, a full 12 percentage points below the state average and nearly 20 points below the national average. At St. Michael, the principal says, 99% of students graduate and 98% of those attend college. What allows Aiden and Erin to cover tuition at St. Michael is Arizona’s program for education savings accounts. Parents who take children out of public schools can opt in and receive, in a private account, a portion of the funds that the state would have spent on their education. Most students receive $5,000, but the deposits for children with special needs are roughly $14,000, depending on the diagnosis. That money can be used to pay for private-school tuition, tutoring, extracurricular activities, school uniforms and more. Arizona created the program in 2011 for special-needs students, but since then lawmakers have slowly expanded eligibility—to children in military families, foster care, and failing schools, as well as those on Native American reservations. Today more than 3,300 students use the accounts, about 1% of those eligible. Now the state has opened the gates to everyone. Last week Gov. 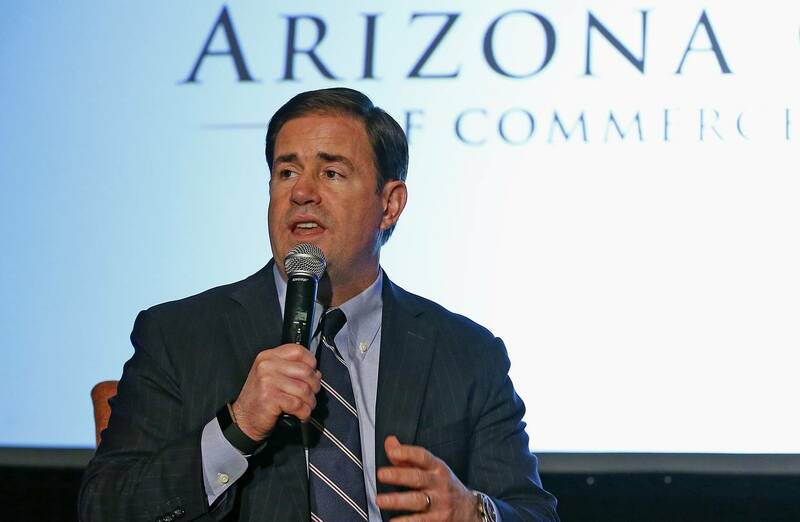 Doug Ducey signed a bill that will give every public-school student in Arizona—1.2 million in all—an opportunity to apply to the program. New enrollment will be capped at about 5,500 students per year, up to a maximum of 30,000 in 2022. To apply, students must be currently enrolled in public school, except for incoming kindergartners. Applicants will be taken first come, first served. Education savings accounts are a way to give parents more options. Many families would like to send their children to private schools or home-school them, but they simply cannot afford to—especially since they are taxed to pay for public schools regardless. A program like Arizona’s allows these parents to make the best choice for their families, whether that means a religious school, a secular private school or home schooling. Arizona is not the first state to give its entire student body the opportunity to use an education savings account, but here the idea has already run the legal gauntlet. Two years ago when Nevada created a similar program, the American Civil Liberties Union filed a lawsuit that blocked the law. The ACLU had argued that because some parents might choose religious schools, the Nevada program would wind up funding sectarian organizations in violation of the state constitution. The Nevada Supreme Court did not buy that argument, ruling that because parents control the accounts it does not qualify as public money. But the court struck down the mechanism that lawmakers had used to fund the program. Nevada lawmakers have introduced a bill to remedy the situation, but Republican Gov. Brian Sandoval and the Democratic Legislature are sharply divided. Arizona’s law is proving the success of school choice. Lawmakers in more than a dozen states, including Texas, Missouri and Maine, have considered similar programs in recent years. The first drafts of these bills often make education savings accounts available to all public-school students. That would give more parents than ever the option to do what’s right for their families—instead of what’s best for the education bureaucracy. Mr. Butcher is education director at the Goldwater Institute and senior fellow at the Beacon Center of Tennessee. Appeared in the Apr. 15, 2017, print edition. A full Court of nine takes on anti-Catholic Blaine Amendments. Can a church be cut out of a state funding program merely because it’s a church? That’s the question on Wednesday when the Supreme Court hears arguments that could determine whether state laws that discriminate against religious groups violate the First Amendment. In 2012 Columbia, Missouri-based Trinity Lutheran Church applied to participate in the state’s Scrap Tire Grant Program, which gives money to schools or other groups that want to resurface playgrounds with recycled tires to provide a safer surface. The program is neutral and secular and provides around a dozen applicants with playground renovations each year. This language is known as the Blaine Amendment, one of many state laws passed amid a burst of anti-Catholic sentiment in the late 1800s to cut off public funds for religious schools. More recently, progressives have adopted Blaine Amendments to bar state money for religious organizations and block voucher programs that let parents choose religious schools for their children. 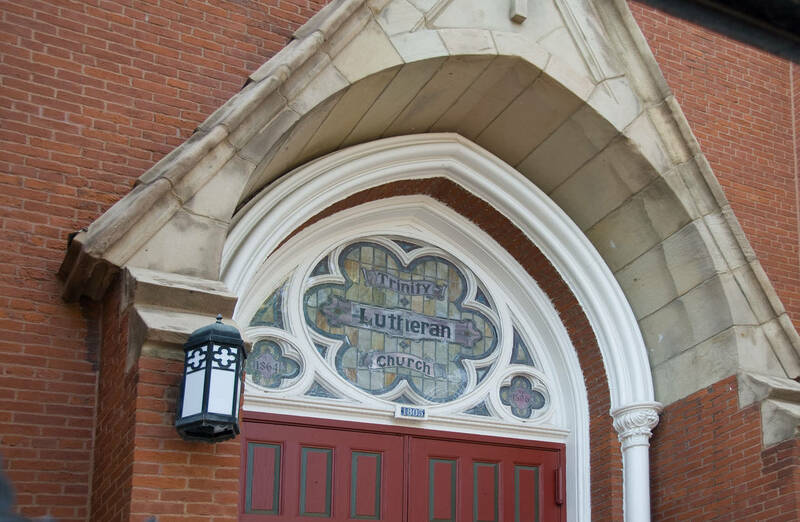 Trinity Lutheran sued in January 2013, noting that the laws violate the First Amendment’s guarantee that “Congress shall make no law respecting an establishment of religion, or prohibiting the free exercise thereof” as well as the Constitution’s guarantee of equal protection. A federal judge dismissed the church’s claim and the Eighth Circuit Court of Appeals agreed, ruling that state money used to resurface a church playground was an improper payment to a religious organization. Those opposed to the church receiving state money for its playground cite the Supreme Court’s 2004 decision in Locke v. Davey, in which the Justices ruled that a publicly funded scholarship program was not required to fund students seeking degrees in theology or religious studies. But unlike Locke, in which the public money was paying for the furtherance of Christian theology, the money applied for by Trinity Lutheran was for a neutral and nonreligious purpose. By explicitly excluding the church preschool from a secular program because it is run by a religious organization, Missouri is discriminating in violation of the Constitution’s free exercise of religion clause. The Founders wanted religious groups treated equally and without government interference, not to have them discriminated against because of their religion. Blaine Amendments have become a favorite weapon against school vouchers that threaten the public school monopoly. The Justices should make clear that using the amendments to exclude religious groups from public benefit programs violates the Constitution. Critics hype a pair of studies while ignoring other evidence on education vouchers. A meta-analysis last year by the Friedman Foundation found that 14 of 18 empirical studies analyzing programs in which students were chosen at random by lottery found positive academic outcomes. Two demonstrated no visible effect, while two recent studies of Louisiana’s voucher program found negative effects. The Louisiana studies are disconcerting since voucher proponents have hailed the program, and the negative effects were large. Math scores declined in one study by 0.4 standard deviations after one year in private schools, representing a 50% increase in likelihood of failing the state test. But Louisiana’s voucher program is unusual in several respects. Fewer than a third of private schools participated in the first year, and they had already experienced significant enrollment declines. This suggests that voucher students had their pick of the worst private schools. Some higher performing schools may have been deterred by regulations that prohibit them from setting admissions standards and charging families more than the voucher amount—$5,300 on average in 2012. The study did find that vouchers “improved the achievement of the public-school students who were eligible for a voucher but did not use it.” These students tended to be more economically disadvantaged and lower-achieving than those who used vouchers. It appears vouchers impelled low-performing public schools to improve to avoid losing students. These studies rebut the union claim that vouchers harm students left behind in public schools. Notably, one of the outlier studies was of Washington, D.C., which compensates schools for funds they lose from voucher students. Democrats in Maryland and the GOP in Texas punish poor kids. Teachers unions portray vouchers as a nefarious Republican scheme though support for—and opposition to—private school choice is often bipartisan. Witness how Democrats in Maryland and Republicans in Texas have stymied efforts to improve educational options for poor kids. Last week Maryland’s Democratic General Assembly overrode GOP Gov. Larry Hogan’s veto of a bill that restricts his ability to enact school reforms. Under the federal Every Student Succeeds Act, states must develop plans to identify and rehabilitate low-performing public schools. In Maryland this job falls to the 12-member Board of Education appointed by the governor. Democrats have passed legislation limiting objective measures of academic performance (e.g., student achievement, growth, graduation rates) to 65% of a school’s score. So schools in which the vast majority of kids fail state tests could still get a passing grade if, say, they score high on teacher satisfaction or attendance. The legislation also prohibits the board from issuing letter grades to schools and converting failing ones to charters or appointing new management—interventions backed by the Obama Administration. Nor can the board offer vouchers to students who attend chronically low-performing schools. In other words, Democrats want to keep poor kids trapped in failing schools while concealing the evidence. 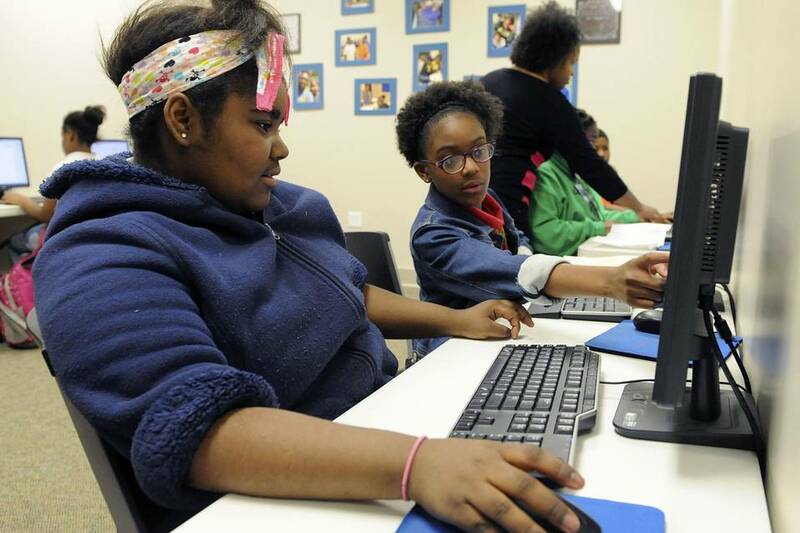 The National Alliance for Public Charter Schools this year ranked Maryland’s charter-school law the weakest in the country, and a lack of high-quality options may be driving parents from Baltimore. The U.S. Census Bureau says Baltimore’s population decreased by 7,000 between 2015 and 2016, the third largest decline among county-sized jurisdictions after Cook County (Chicago) and Wayne County (Detroit). Ironically, many of Maryland’s black parents fled Washington, D.C. two decades ago amid the capital’s fiscal crisis and deteriorating public schools. But over the last 15 years Washington has been at the forefront of school reform. Former chancellor Michelle Rhee imposed rigorous teacher evaluations, eliminated tenure, introduced merit pay and expanded school choice. Nearly half of students attend charters while about 1,200 receive federally funded private-school scholarships. The results speak for themselves: In 2015 Washington, D.C. ranked as the fastest improving urban school district on the National Assessment of Educational Progress in fourth-grade reading. On the other hand, Baltimore’s fourth-grade math and reading test scores dropped more than any other school district. 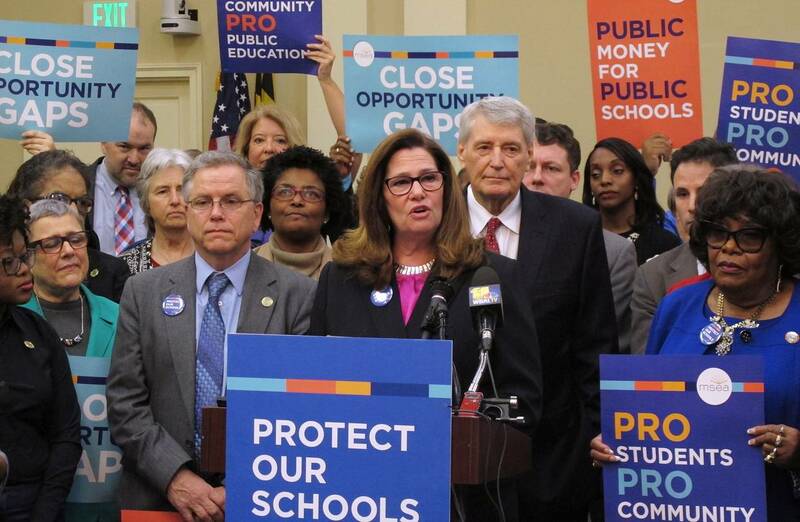 Unyielding Democratic opposition to reform in Maryland may propel more parents in Baltimore to leave, undercutting tax revenues and public schools. Meanwhile, Republicans in the Texas House have deep-sixed legislation passed by the state Senate creating tax-credit scholarships and education-savings accounts for low-income kids. After rural lawmakers complained that vouchers would harm their local schools, Senate Republicans restricted scholarship eligibility to the state’s 17 largest counties and capped tax credits at $25 million. House Education Committee Chairman Dan Huberty says the bill is dead on arrival, and more than two-thirds of House lawmakers voted last week to ban state funds from flowing to private schools. In February Mr. Huberty called vouchers “a solution in search of a problem.” Would he like to defend the status quo in Houston where a mere one in five eighth-graders score proficient in reading? In selecting Betsy DeVos as Education Secretary, Donald Trump picked a school-choice warrior who’s fought for years on the barricades. The setbacks in Texas and Maryland show why her experience and tenacity are needed. Appeared in the Apr. 12, 2017, print edition. AUSTIN, TEXAS (January 30, 2017) . . . Senator Larry Taylor (R-Friendswood) recently announced the filing of Senate Bill 3, legislation to expand school choice and educational opportunities for all Texas schoolchildren. Senate Bill 3 establishes two opportunities to maximize education choices for parents and students – an Education Savings Account (ESA) program and a Tax Credit Scholarship program. The ESA program will be administered by the State Comptroller and will provide parents with funds for the education needs of their child, including private school tuition at an accredited private school, private tutoring, online learning or other qualified options (i.e. – curriculum, instructional materials and courses). Funding for eligible students is determined according to family income levels. Under current state law, when a child leaves a school, the district that student leaves loses all state funding for that student. Under Senate Bill 3, a district will still receive partial funding for a student they’re not educating. The Tax Credit Scholarship program will be administered by an educational assistance organization selected by the State Comptroller, a non-profit, 501(c)(3). Participating businesses may receive a tax credit up to 50% of their annual insurance tax liability for contributions made to the education assistance organizations for education tuition scholarships. Eligible students may apply for a scholarship for up to 75% of the statewide average school districts receive for student average daily attendance; or a scholarship up to $500 for academic support programs at a public school. Senator Larry Taylor is a lifelong Texan and Baylor University graduate raised in Friendswood. He and his wife Kerri have three adult children and one granddaughter. Senator Taylor owns Truman Taylor Insurance Agency in Friendswood, an independent agency started by his father 55 years ago. Prior to his election to the Texas Senate in 2012, he served five terms in the Texas House of Representatives. Senator Taylor represents Senate District 11, comprised of portions of Brazoria, Galveston, and Harris Counties. Testify in Austin on Tuesday, March 21 in Support of School Choice! The Texas School Choice Coalition is committed to empowering parents with more educational options. Testify in Support of School Choice! Please join us in Austin on Tuesday, March 21 to have your voice heard in support of school choice! The Senate Education Committee will be hearing the first of many important proposed bills relating to school choice in Texas. Senate Bill 3 would create an education savings account and a tax credit scholarship. Read more about SB3. “This is not money leaving the system. It is money following the student,” Taylor said Monday at a Capitol news conference announcing the legislation. “If Texas wants to remain economically sound … we need to pass school choice legislation to give all of our students the opportunity to receive a great education that is tailored to their specific needs,” he added. At last week’s National School Choice Week Rally, he called on the House to take a vote on the upcoming bill. “It’s easy to kill a bill when no one gets to vote on it,” he said. Taylor said students’ home districts and the state would share the portion of funds left over, leaving schools with more money to educate fewer students. Critics argue that school choice measures like education savings accounts divert public money to private schools, with no accountability, and exacerbate school funding inequities. Proponents say the accounts could help ease excessive enrollment at “failing” public schools by subsidizing parents who want to take their students to schools outside of the public system. Patrick has linked “school choice” policies to the state’s new A-F rating system for schools and districts. “No parent should be forced to send their child to a school that’s a D or an F or a C, or frankly any school that they don’t think serves their child,” he said earlier this month at a forum hosted by the Texas Public Policy Foundation, a conservative think tank. “SB 3 is a school voucher on steroids. It marries a taxpayer-funded government subsidy for private schools and vendors to a corporate tax break with little public oversight and no accountability for results,” said Alison Badgett, executive director of education nonprofit Raise Your Hand Texas. The Texas Catholic Conference of Bishops and the Texas Private Schools Association are pushing tax credit scholarships in separate bills — Senate Bill 542 and House Bill 1184. Students with high academic and financial need could use those scholarships at any accredited private or parochial school, similar to Taylor’s bill. But those bills do not include education savings accounts. “When it comes to an education savings account, we’re a little more cautious. We see potential there. We’re a little more cautious because we haven’t done it,” said Jennifer Allmon, executive director of the Texas Catholic Conference. Copyright © 2016 Texas School Choice Coalition, All rights reserved. Bridge Academies show promising results in Kenya and Uganda, but unions see them only as a threat. No longer content to oppose educational innovation at home, the unions representing America’s teachers have gone abroad in search of monsters to slay. For nearly a decade, Bridge International Academies has run a chain of successful private schools in the slums of Kenya and Uganda. A for-profit company, Bridge has shown that it’s possible to provide high-quality, low-cost primary education to poor children in the developing world. Naturally, the teachers unions are outraged. According to Unesco, the literacy rate among second- and third-graders in Kenya is 32%; in Uganda it’s 27%. The teachers unions blame poverty. Only students who are free from want, they say, can be free to learn. An alternative explanation is that poor-performing schools in Africa—and India, where Bridge expanded in 2017—are simply not geared for learning. In parts of the developing world, a rigid curriculum leaves many students hopelessly behind. No real attempts are made to monitor school performance. Teachers often lack appropriate skills and frequently fail even to show up to work. In 2013 the World Bank determined that teachers in Kenya’s government schools were absent 47% of the time, teaching an average of only two hours, 19 minutes a day. A government audit showed that 80% of the primary-school teachers certified by Uganda last year could not themselves reliably perform at the primary-school level in reading and mathematics. African and Indian parents are no different from American parents. They know that poor-performing government schools are letting their children down. Even the desperately poor in slums and rural areas are willing to pay for a better option. Bridge is a Silicon Valley-style startup. Its founders hope to revolutionize education, taking inspiration from the way Tesla and Uber disrupted their industries. With more than $100 million in support from Bill Gates, Mark Zuckerberg, the World Bank’s International Finance Corp. and Learn Capital, Bridge has developed a new model of private education. Bridge school teachers are provided with lesson plans and teaching scripts. They work eight-hour days. Their attendance is monitored; absences are rare. Student-performance data are collected, analyzed and used to improve outcomes. In Kenya, progress has been notable. After two years in Bridge schools, 59% of students pass the national primary school exam. That’s 15 percentage points higher than the estimated public-school pass-rate. In 56 communities from 23 rural and urban counties, Bridge had a 100% pass rate among pupils who attended their schools for at least two years. These unprecedented gains led World Bank president Jim Yong Kim in 2015 to single out Bridge for helping lift students in the developing world into the modern age. His words of praise enraged Randi Weingarten, president of the American Federation of Teachers. “The World Bank’s promotion of the fee-charging, for-profit Bridge International Academies in Kenya and Uganda is not an appropriate role for the institution,” she said. In late 2016, Education International, a global consortium of teachers unions, issued detailed reports attacking Bridge’s work in Kenya and Uganda. While never mentioning the improvement in student learning, the reports maligned Bridge’s use of teaching scripts, claiming that they hindered teacher flexibility and creativity. Not surprisingly, a main concern was that teacher salaries are lower at Bridge schools than they are at government schools. But it seems educational innovation anywhere is a threat to union control everywhere. Mr. Hanushek is a senior fellow at the Hoover Institution and a special adviser to Learn Capital, which supports the expansion of Bridge International Academies.